As winter starts to leave us and we move into the warmer spring months, it is the perfect time to detox your body! 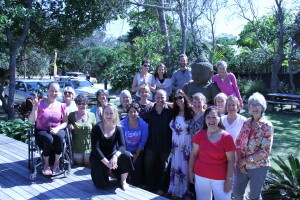 There is no better way to cleanse than with an Eight Day Detox, Healing and Raw Food Retreat in beautiful Byron Bay! The September Embracing Health Retreat is being held at Byron Bay, 6th-14th of September, and it will be a wonderful healing experience, with a great team of people working with you, so that you get the most out of your healing retreat. The overall premise of the retreat is for you to have an experience of food as medicine, not just as a concept, but during this retreat you will be living it! Our Executive Chef is the acclaimed Cat Cannizzaro from WildRaw and she has designed a delectable menu, introducing you to the delights of gourmet raw food and showing you just how delicious eating this way can be. For the first five days we will be juice fasting, and each juice will be created using local organic produce, bringing in the medicinal properties of the foods and cleansing the body. After the fast we move into eating organic, raw vegan food, with Cat taking you through food preparation classes, teaching you how to make simple, but tasty dishes. You will be surprised at how easy the program is! Don’t miss out on what is going to be one of the best Embracing Health Retreats of the year! There are only four places left at this exclusive event, and they will fill fast! Yes Please! I Need a Detox Holiday NOW! If you were sitting on the fence, you must make your decision quickly, or the rooms will be gone! Enjoy another look at the site, www.embracinghealth.com.au/retreat and refresh your memory on all the extras that are included as a part of your retreat experience. Come along and find out why so many people are RAVING about The Embracing Health Retreats – you can book online on the retreat site, or by clicking on the “Yes Please” link above. There is only one price to pay which includes everything you need for this 8 night retreat. No add-ons, no surprises. Payment plans are available. 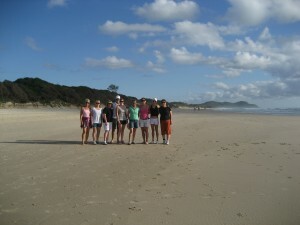 Can you please tell me the cost for the Byron bay retreat & whether there are still spots available. We only have a couple of places left for September, and we are expecting them to fill up fast! You can book in online at the above website to secure your place with a deposit today! Hoping to see you at one of these retreats soon! Previous post: Why Is This STILL Happening?